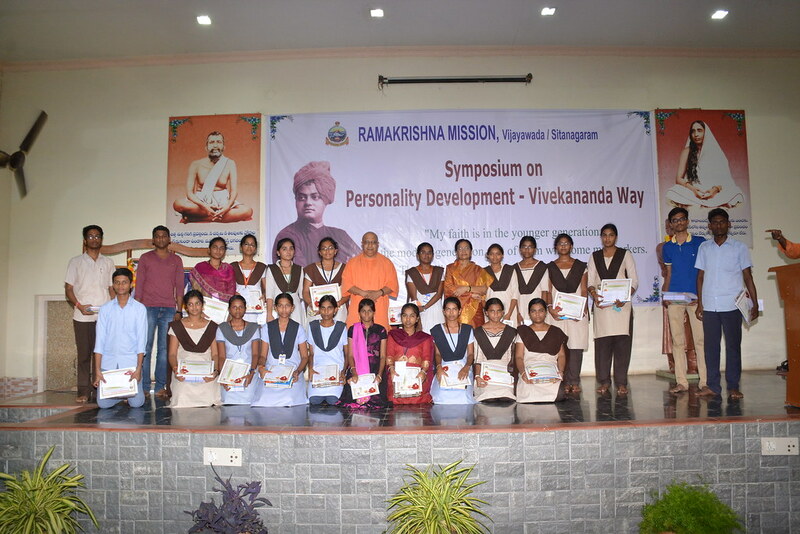 A Symposium on ‘Personality Development – Vivekananda Way’ was conducted on 15 September 2017 at Vivekananda Vidya Vihar, Ramakrishna Mission, Sitanangaram, Vijayawada. 400 students from four different colleges participated in the symposium. They submitted write-ups based on the book ‘Personality Development’, a compilation of Swami Vivekananda’s thoughts on the subject published by Advaita Ashrama, Kolkata. 25 best write-ups were selected and the selected students were invited to give a short talk on the subject. 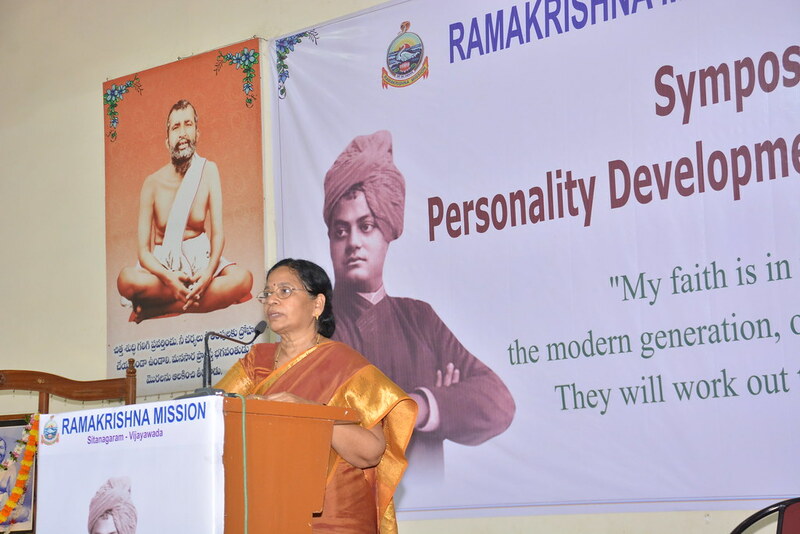 Swami Anupamananda, Secretary, Ramakrishna Mission Ashrama, Tirupati, and Dr. C. Bhavani Devi, Retd. 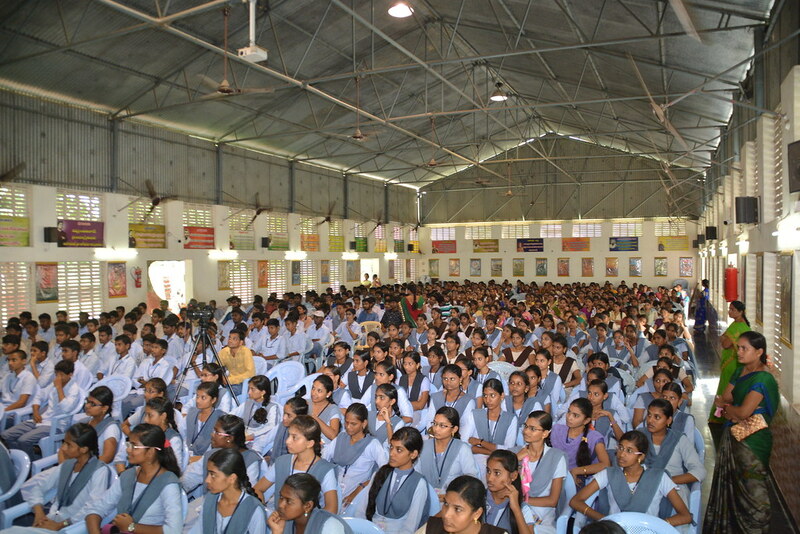 Deputy Secretary to the Government of Andhra Pradesh, guided the assembled students through talks and panel discussions. 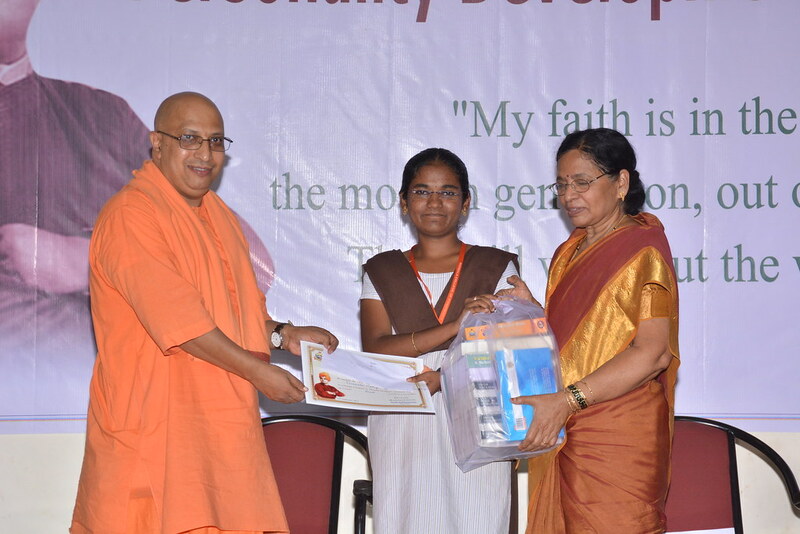 Prizes consisting of books and cash were distributed among the winners. 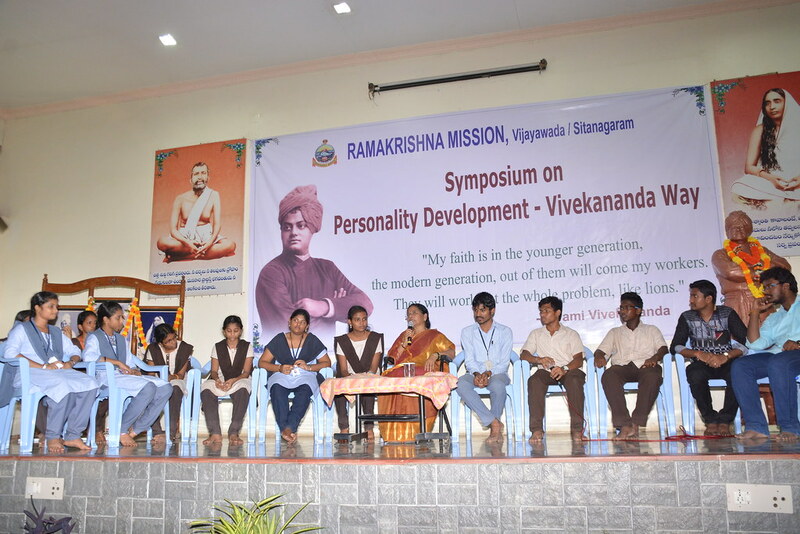 Laminated photos of Swami Vivekananda with his quotation were presented to the participant colleges. 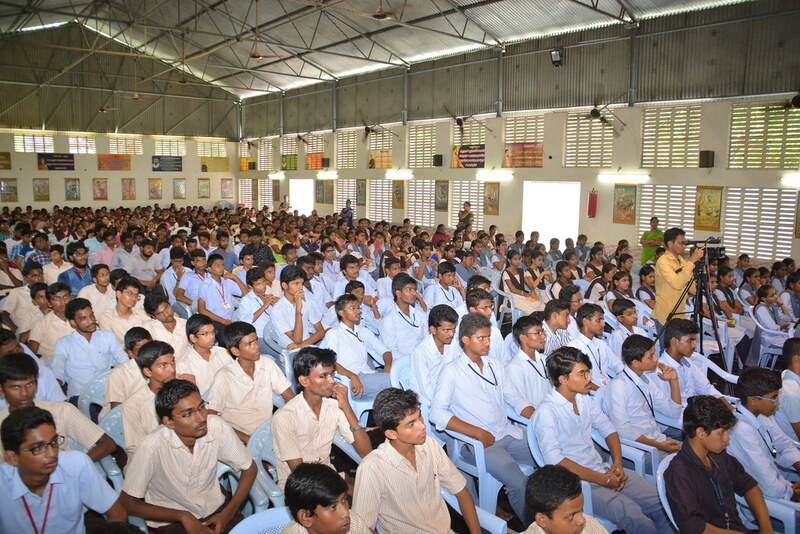 Students involved deeply in the panel discussions and they were very enthusiastic. 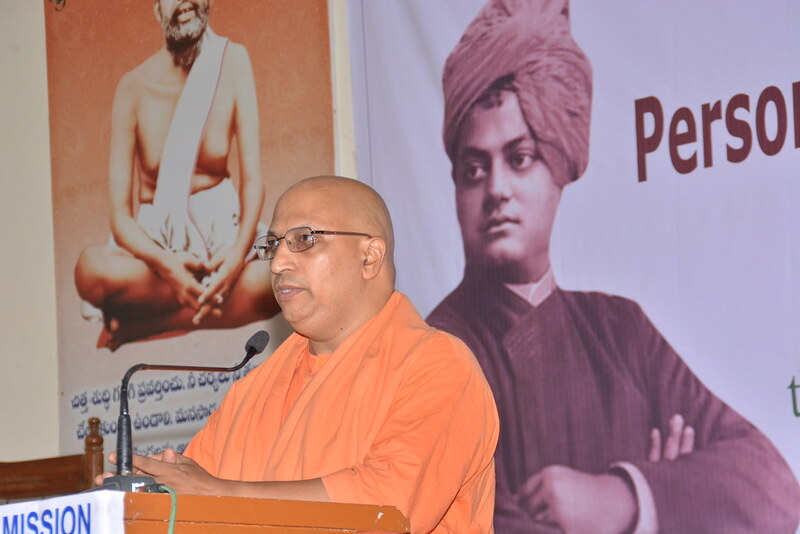 They felt that such symposiums should be conducted often and expose the youth to Swamiji’s ideas.